This year's glitzy Auction Napa Valley combined great wines and a performance by Grammy winner John Legend to keep its spot as America's top charity wine auction. The four-day event by Napa Valley Vintners (NVV), now in its 35th year, raised $15.8 million for local nonprofits focused on community health and children's education. 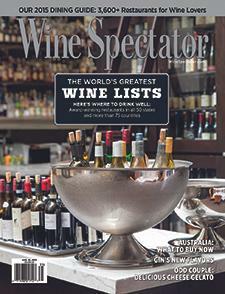 Wine Spectator's MaryAnn Worobiec reports.